Watch what happens when teens in Baltimore spark a Chain Reaction. Register for a summer 2007 Chain Reaction experience today. Is it possible to reform public education within a single generation of students? Urban youth workers in New York City think so. 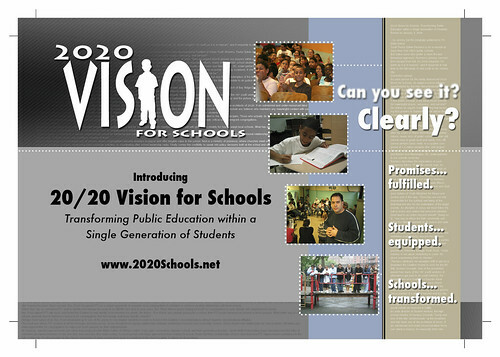 Introducing 2020 Vision for Schools The campaign explained in 3 minutes, 33 seconds. Check out www.2020Schools.net for more information and resources.